As I said here, wait until the night itself. It was good advice. Adlington came across as rather dull. She also looked terrible which also isn't a great vote winner. Hoy was the consumate gentleman whilst Hamilton is just too much of a robot to enamour the public into picking up the phone. The regional vote also played a part in my opinion. I am kicking myself for not acting on this obvious factor. 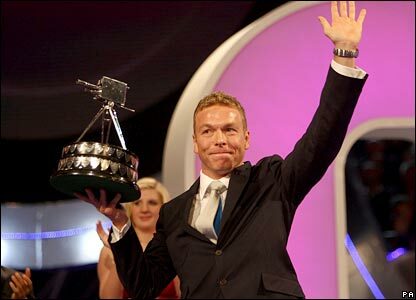 Well done to Chris Hoy though. Personally, I didn't bet in the end on the main event - just didn't fancy it in the end. The Overseas Personality was annoying (poor research on my part in not checking who votes) but Young Personality was a nice win. One thing to remember for next year is that the main contenders odds dived when they were on the show, they then returned to pre-interview levels quickly. A cracking future trading opportunity if ever there was one.